Jane Sangerman lives and works in New York City. She received her BFA from the University of New Mexico and her MFA from the State University of New York at Buffalo. Her current series of mixed media and collage works on paper and wood panel are a synopsis of her reaction to living in an urban environment. The “Portal Series” explores ambiguous time and space through the structure lifted from the decrepit and aging grid systems from New York City’s crumbling walls. In addition to teaching drawing, painting and printmaking at Ramapo College, her experience also comprises various visiting artist and guest lecture opportunities including the Parsons School of Design, New York, Parsons School of Design at The American School in Paris, The Glasgow School of Art, The University at Buffalo Anderson Gallery, and upcoming in 2014, Northern Arizona University. In 2012 she had a one person exhibition at the University at Buffalo Anderson Gallery. In the past she has had one and two person shows in New York City and Chicago and has also been included in group shows nationally and internationally. 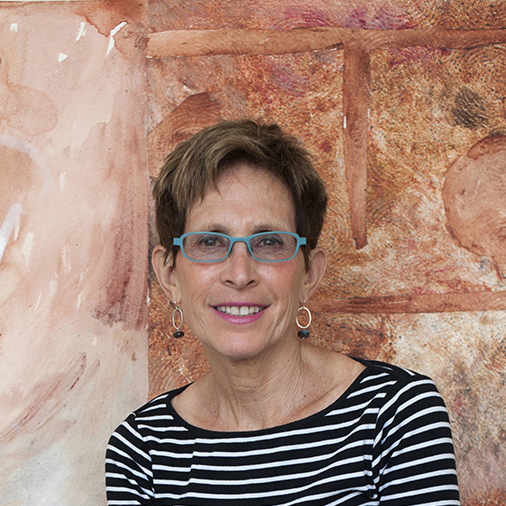 Jane has a been a recipient of the Jerome Foundation Fellowship and her artwork is part of more than 25 public collections including the New York City Public Library and The Brooklyn Museum.